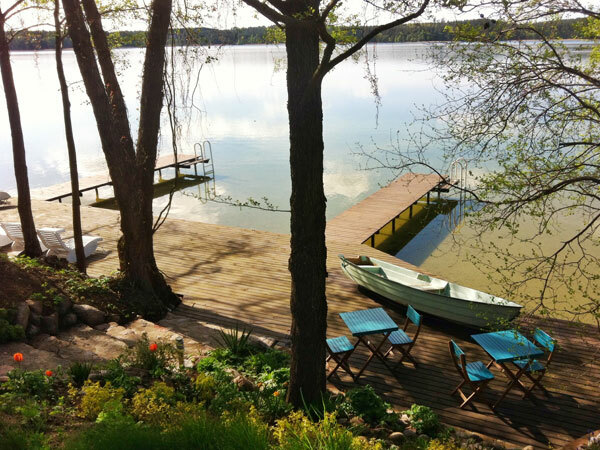 We would like to invite you to stay in one of three of our holiday cottages situated in the heart of Polish lake district Masuria. 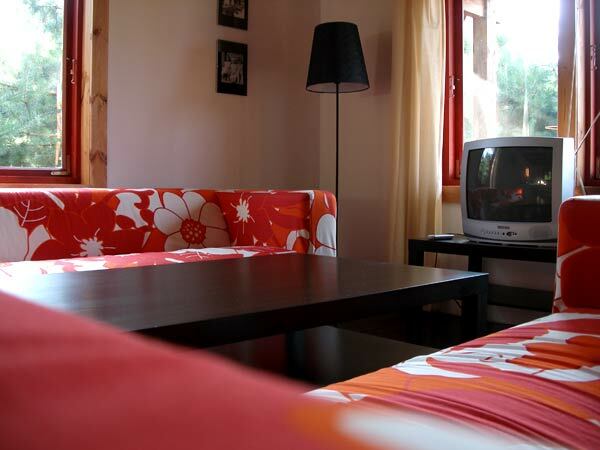 All of our cottages are 95 m2 large with three bedrooms, a bathroom, spacious living area and a comfortable and modern kitchen. 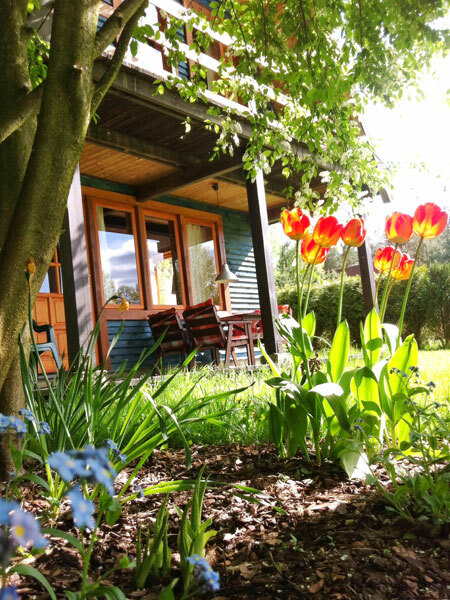 The cottage is big enough for up to six people to stay. 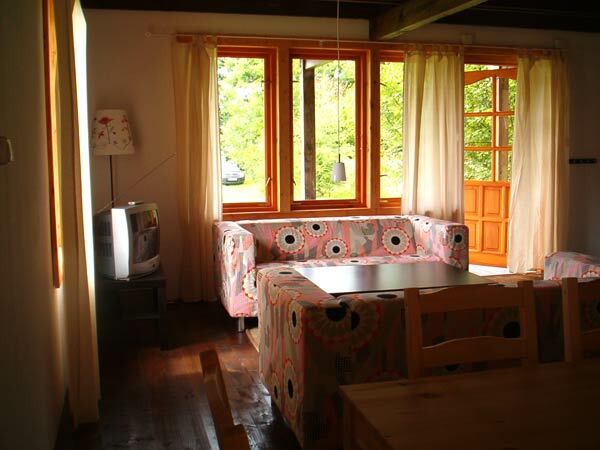 There are two bedrooms on the first floor, one with double bed and a balcony overlooking the lake. 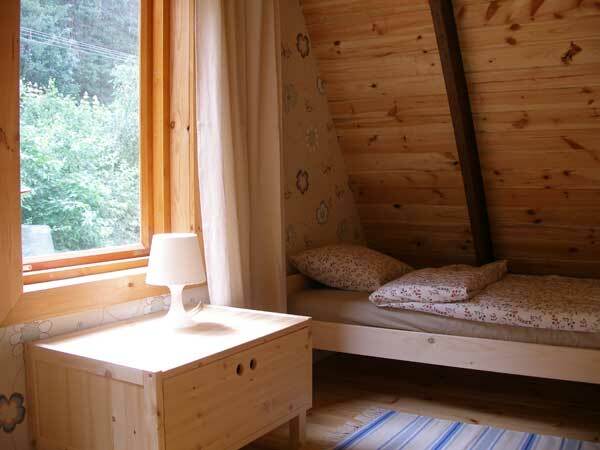 The other bedroom has two single beds with a beautiful view of a nearby forest. At the very top of the cottages there is a third bedroom. On the ground floor you will find the kitchen area equipped with all necessary kitchen appliances and utensils where you can prepare your own meals. There is a large terrace in all our cottages. It is a perfect place to enjoy your dinners al fresco, as there is a table with chairs on the terrace and a barbecue area. Our holiday cottages are located in the middle of large (over 4500 m2) area with private beach and small wooden pier. You can swim in the lake or sunbathe on the shore. There are also a yacht and boat waiting for you to use. The closest village to the cottages is Pluski, an old fishing settlement. There are a restaurant, pub, an inn and a grocery shop. 25 kilometers away from the village of Pluski, there is the biggest town in the entire region - Olsztyn. It's an administrative, cultural and shopping capital of the Masuria district. For all of you golf lovers there is a golf course ten minutes drive from our cottages. 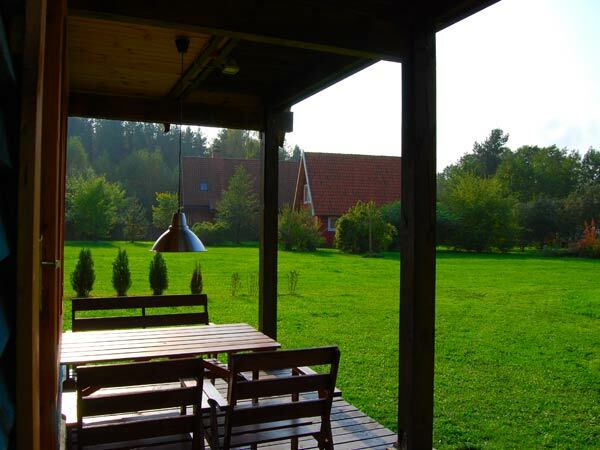 Visit our three cosy holiday cottages in Poland in Masuria district.